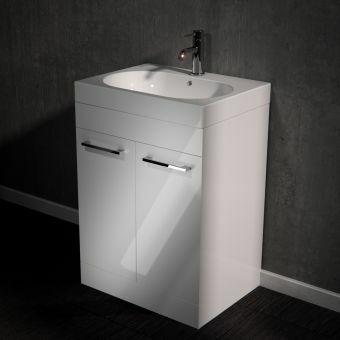 A truer statement of luxury for your bathroom would be hard to find, as the 130 Vanity unit with doors has been created by Burlington to the very highest of standards. 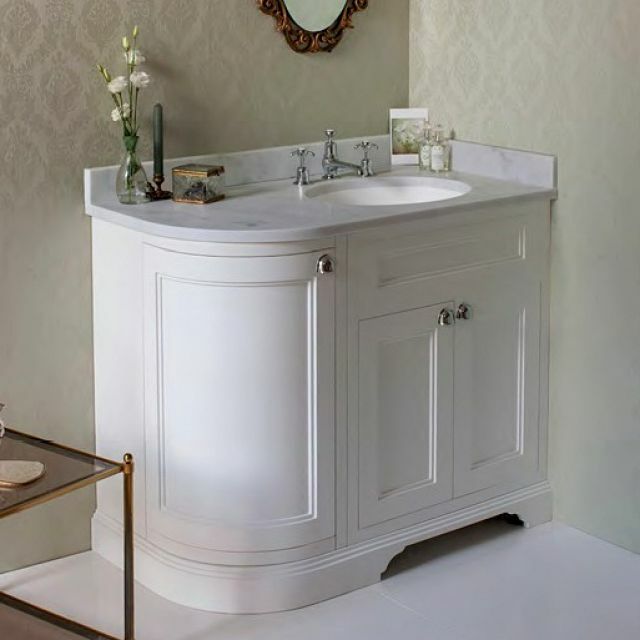 Merging painted wood panelling with a beautiful stone resin surface and basin, it can proudly take centre stage in the sophisticated bathroom space. 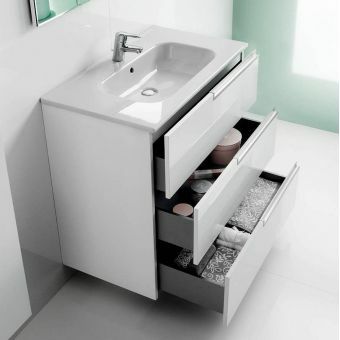 Three handy doors, each fitted with soft closing hinges, give this vanity unit all the storage space required below the vanity bowl basin to make this the perfect unit for the larger bathroom. 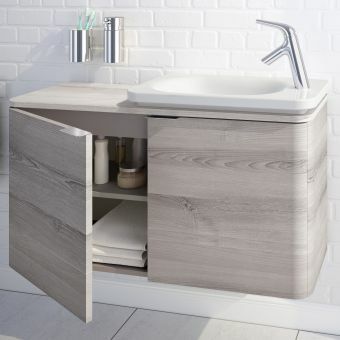 Available in colours of Dark Olive, Sand or White, it can be matched with three other options for the Minerva work surface for a range of colour combinations. 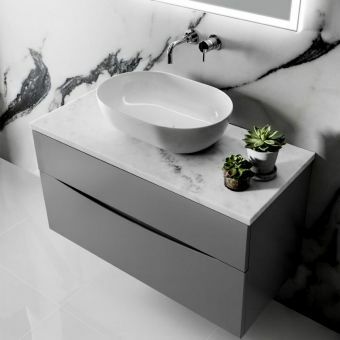 Black Granite, White and Carrara work surfaces are all made fom high quality natural stone and compatible with a range of Burlington brassware options using the drilling template provided with the worktops. 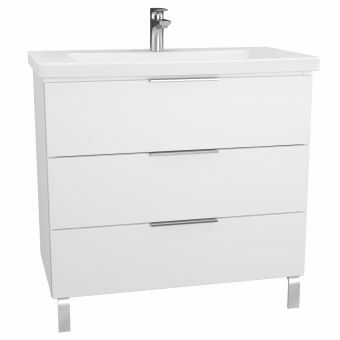 Please note that taps are not included in price and may be ordered separately.